Project Nest Box connects students with nature by supplying bird nest boxes made from 97% post-consumer recycled plastic, to K-12 schools across North America. Students monitor the nests bi-weekly from April to July, and report data to Bird Studies Canada’s Project NestWatch. Students learn more about different bird species, while gathering important information. So far, over 1000 bird nest boxes have been donated. 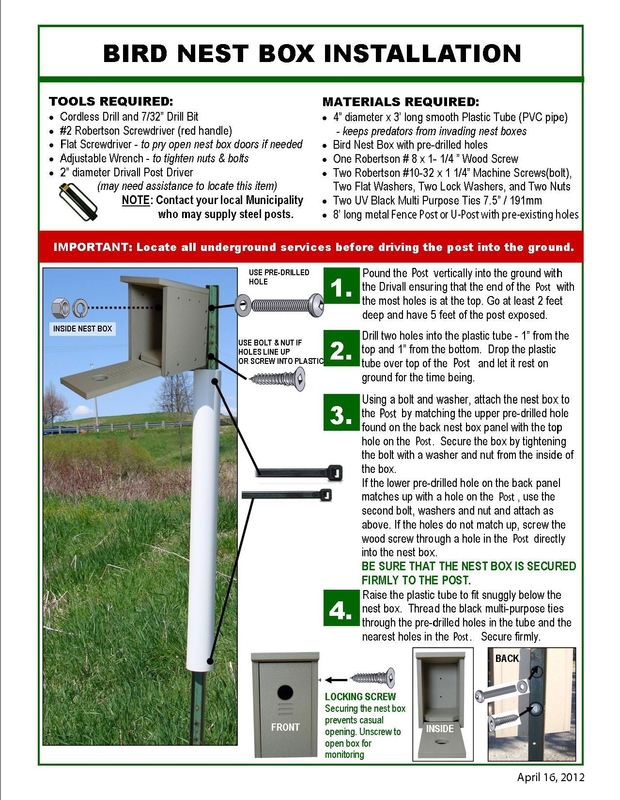 A limited number of free bird nest boxes are distributed every spring. Project Nestbox is now closed for Spring 2019. Thank you to everyone who has signed-up. We have over 200 schools participating this year. Due to high demand CleanRiver Nest Boxes are now available for purchase on Amazon.com and Amazon.ca. Quantities are limited so ORDER NOW. 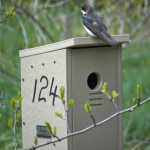 Project Nest Box was pioneered by David Tomlinson of the Aurora Environmental Advisory Committee’s Naturalization and Wildlife Working Group. CleanRiver is proud to partner with David and his group of dedicated volunteers, Bird Studies Canada, and the Royal Ontario Museum’s Ontario Nest Records Scheme, to bring this very worthwhile and educational program to schools across North America.